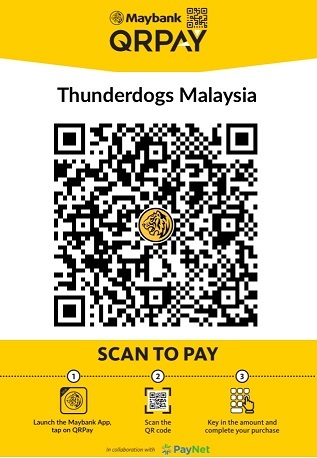 We are now half way through the month of Ramadhan, and most of us dog owners have already had to deal with our dogs' fear of fireworks in the evenings. With the Hari Raya celebrations fast approaching, we can be assured that the amount of fireworks that will be set off will only increase, and therefore potentially causing our dogs to experience high levels of stress and anxiety. We would like to share with you an excerpt from Victoria Stillwell on how to deal with Fireweoks Anxiety. A lot of your dog’s misery can be avoided (or at least reduced) if you think ahead and begin the desensitization process with her well ahead of the big day. There are several steps you should take if you think your dog will have a bad reaction to the booms, whistles and pops that are the soundtrack to what the rest of us all consider a fun night. Working with dogs that have a fear or phobia can be complex because even though some common fears can be successfully worked with, others are deeply ingrained and are therefore highly resistant to change. Recent reports have shown that 93% of dogs with noise phobias involved fear of thunder and other loud noises, including fireworks.Whether fear of fireworks is elicited by a singular traumatic experience or prolonged exposure, the result is often highly distressing for dogs and owners. Without extensive behavioural therapy and management strategies, phobias become deeply ingrained and even harder to change. Unfortunately even one noisy celebration can turn a dog into a quivering wreck. Some dogs are so badly affected that they have an inability to function during and after a fireworks show. Many fireworks-phobic dogs adopt self-management strategies in order to cope. These strategies include attempting to escape the home, digging into carpets, seeking out dark den-like spaces to hide in, or crawling behind a bathroom sink or toilet. Others will pace back and forth during the episode, unable to focus on owners who are desperately attempting to calm them down. Stress is also manifested through excessive panting, pupil dilation, sweating paws, raised heartbeat, loss of appetite, whimpering, trembling and an inability to settle. One thing that can sometimes make behavioral modification in fireworks cases a bit easier than with thunderstorms is that thunderstorms are not easy to predict or control. A dog usually knows that a storm is coming long before an owner and becomes increasingly panicked as the storm approaches. Regardless, as with all training techniques, I have learned that treating every dog as an individual is of utmost importance and that modification and management is more likely to succeed if time is spent tailoring the training to each specific dog. Conditioning a dog to feel differently about the sound of fireworks can be achieved by gradually exposing the dog to audio recordings of fireworks at low volume levels and, if the dog appears relaxed, playing his favorite game or feeding him his favorite food. Allowing the dog to play and relax in the presence of the soft noise for a period of ten minutes, taking a break of five minutes and repeating the exercise ensures that the dog doesn’t become bored with the training. Introducing the audio at a low level again and slowly turning up the volume if the dog continues to be relaxed and able to concentrate on playing the game or eating the food allows the dog to habituate to the noise without a fear response. If the dog shows signs of stress, going back to the previous level and building up the noise level again will take pressure off the dog. The object of noise desensitization is to gradually expose the dog to louder and louder sounds over a period of time, progress being determined by the dog’s reactions. Going too fast might make the dog even more frightened, so taking things slowly will ensure maximum benefit from the process. Gradually exposing the dog to flashes of light that grow in intensity can be another part of therapy, but one that can be harder to implement. I have found that these therapies are often not as effective as noise desensitization. Some dogs will respond well to all of the above therapies, but will become panicked when the real fireworks start. It is therefore important to tackle this phobia in other ways by using effective management strategies and by masking any audio and visual stimuli that elicit a fear response during an episode. The most important thing an owner can do for their fireworks-phobic dog is to provide them with a bolt hole – a place where the dog can escape to when the festivities begin. Providing the dog access to this safe place is essential at all times, particularly during an owner’s absence. This might be a closet, bathroom or a basement, the best places usually being the ones that have no windows, but with plenty of artificial light (to mask flashes of fireworks). Music can be played close to the safe haven so that sounds can be masked. It is also essential that if an owner is present, time be spent with the dog in the safe haven or attention given to the dog if it comes to seek comfort from its owner. Far from reinforcing fearful behavior, an owner’s comforting arm and presence can help a phobic dog to cope as long as the owner remains calm at all times. 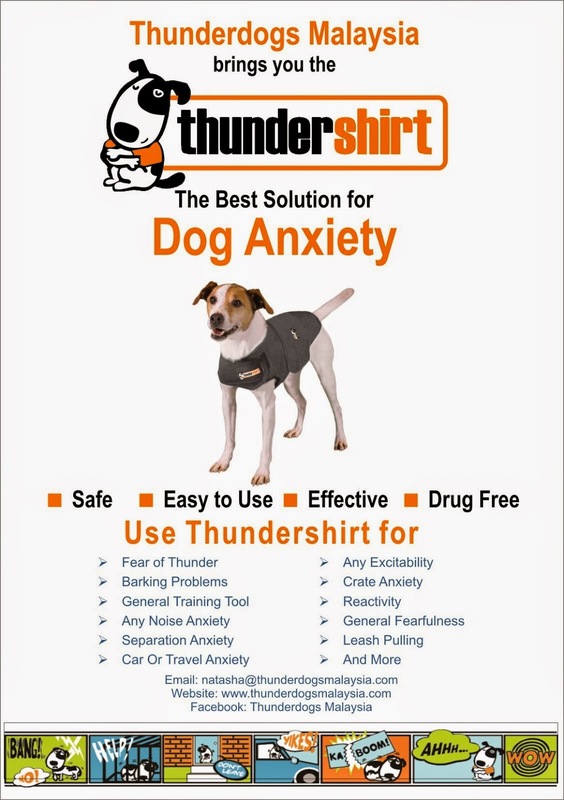 Some phobic dogs benefit from calming therapies such as T-touch, Thundershirts, and Bach Flower Essences, while others do much better on anti-anxiety medication that can be given just before the fireworks start. It is vital, however, that behavioral therapy and management are always given along with any medications in order to give the dog the best possible chance of rehabilitation. I’m very excited about some pretty groundbreaking work that I’ve been doing lately on a project to help dogs with phobias like these, and I hope to be able to announce something about that soon. In the meantime, fireworks phobia can be a tough condition to treat, but trying a variety of therapies and techniques can improve a dog’s ability to cope when the big ones come.